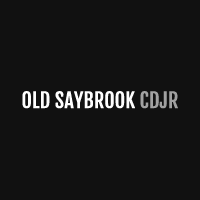 At Old Saybrook Chrysler Dodge Jeep RAM, we make providing quality, affordable used cars for our New London customers a top priority. Because of this, we keep a stock of affordable used cars under 10k. If you’ve been looking for great used car deals, you’ve come to the right place. Whether you’ve been on the hunt for a used CDJR vehicle or another make or model, you can find a budget-friendly option in our inventory. Clean Autocheck, Graphite Pearl exterior and Gray interior. EX-L trim. Moonroof, Heated Leather Seats, Dual Zone A/C, Multi-CD Changer, Alloy Wheels, Satellite Radio. Running Great. PRICE DROP FROM $11,168, EPA 34 MPG Hwy/24 MPG City! CLICK ME! KEY FEATURES INCLUDE Leather Seats, Sunroof, Heated Driver Seat, Satellite Radio, Multi-CD Changer, Aluminum Wheels, Dual Zone A/C, Heated Seats Keyless Entry, Remote Trunk Release, Child Safety Locks, Steering Wheel Controls, Heated Mirrors. Honda EX-L with Graphite Pearl exterior and Gray interior features a 4 Cylinder Engine with 166 HP at 5800 RPM*. Serviced here, Non-Smoker vehicle, This vehicle passed out vigorous 182 point inspection with flying colors. EXPERTS RAVE Edmunds.com explains Inside, the Honda Accord is furnished with attractive, high-quality materials assembled to exacting standards.. 5 Star Driver Front Crash Rating. 4 Star Driver Side Crash Rating. Great Gas Mileage: 34 MPG Hwy. PRICED TO MOVE Was $11,168. Approx. Original Base Sticker Price: $25,000*. WHO WE ARE All preowned vehicles are covered by the Lorensen Advantage, including extended warranties and free services. For more information go to www.lorensen.com/lorensen-advantage. Pricing analysis performed on 4/12/2019. Horsepower calculations based on trim engine configuration. Fuel economy calculations based on original manufacturer data for trim engine configuration. Please confirm the accuracy of the included equipment by calling us prior to purchase. FUEL EFFICIENT 35 MPG Hwy/24 MPG City! Excellent Condition. Phantom Black Metallic exterior and Gray interior. Onboard Communications System, Smart Device Integration, CD Player, Satellite Radio, iPod/MP3 Input No Tricks, Just a Great Deal. KEY FEATURES INCLUDE Satellite Radio, iPod/MP3 Input, CD Player, Onboard Communications System, Smart Device Integration. MP3 Player, Remote Trunk Release, Keyless Entry, Child Safety Locks, Steering Wheel Controls. Hyundai GLS PZEV with Phantom Black Metallic exterior and Gray interior features a 4 Cylinder Engine with 190 HP at 6300 RPM*. EXPERTS REPORT Approx. Original Base Sticker Price: $20,900*. WHO WE ARE Welcome to Old Saybrook Hyundai! Located in Old Saybrook, CT, Old Saybrook Hyundai is proud to be one of the premier dealerships in the area. If you are looking for a Quality new Hyundai or a Quality pre-owned Hyundai in Branford, New Haven, Middletown, or the surrounding areas, we are the shorelines newest Hyundai dealer. From the moment you walk into our showroom, you'll know our commitment to Quality and Customer Service is second to none. Pricing analysis performed on 3/29/2019. Horsepower calculations based on trim engine configuration. Fuel economy calculations based on original manufacturer data for trim engine configuration. Please confirm the accuracy of the included equipment by calling us prior to purchase. WAS $11,250, FUEL EFFICIENT 36 MPG Hwy/25 MPG City! Very Nice. Alabaster Silver Metallic exterior and Black interior, LX-S trim. CD Player, iPod/MP3 Input, Aluminum Wheels. READ MORE! KEY FEATURES INCLUDE iPod/MP3 Input, CD Player, Aluminum Wheels. Rear Spoiler, MP3 Player, Remote Trunk Release, Keyless Entry, Child Safety Locks. Honda LX-S with Alabaster Silver Metallic exterior and Black interior features a 4 Cylinder Engine with 140 HP at 6300 RPM*. VEHICLE REVIEWS The Honda Civic is a benchmark in the compact class, noted for its reliability. -newCarTestDrive.com. Great Gas Mileage: 36 MPG Hwy. A GREAT TIME TO BUY Was $11,250. Approx. Original Base Sticker Price: $19,200*. MORE ABOUT US All preowned vehicles are covered by the Lorensen Advantage, including extended warranties and free services. For more information go to www.lorensen.com/lorensen-advantage. Pricing analysis performed on 4/15/2019. Horsepower calculations based on trim engine configuration. Fuel economy calculations based on original manufacturer data for trim engine configuration. Please confirm the accuracy of the included equipment by calling us prior to purchase. Why Buy Used from Old Saybrook Chrysler Dodge Jeep RAM? Whether or not you’re searching for a used Chrysler, Jeep, Dodge, or RAM vehicle, there is a vast selection in our affordable used inventory. See what we have in stock online before heading to our dealership to set up your test drive. A safe and reliable car with all the bells and whistles you desire is now within reach. Apply for financing before visiting us to expedite the car shopping process, and get ready to drive home knowing you got a great deal. For cheap used cars for sale near Middletown, rely on Old Saybrook Chrysler Dodge Jeep RAM!